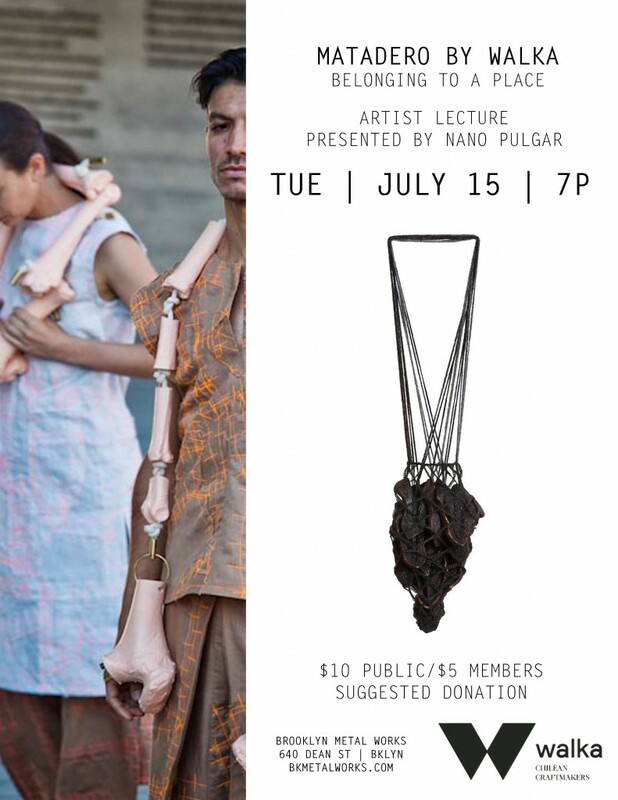 Please join us next Tuesday July 15th at 7pm for a special lecture with visiting artist Nano Pulgar of Walka Studios in Santiago, Chile. A temporary exhibition of work from the Matadero series will also accompany this lecture. This show will be on view through 7/18. Nano is currently in the US in support of Delirio y Cordura (Delirium and Sanity): Chilean Contemporary Jewelry now on view through August 10th at Velvet Da Vinci in San Francisco.